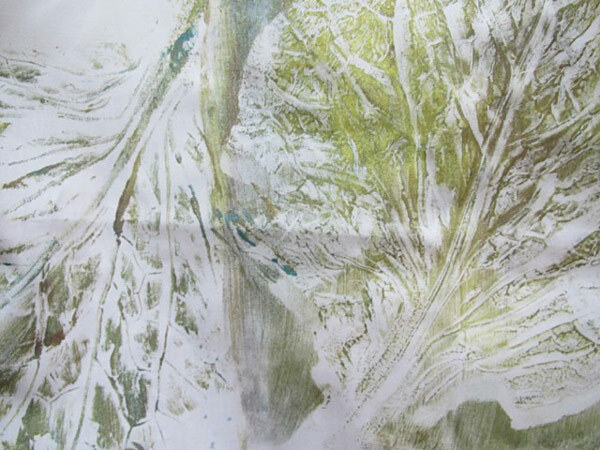 This workshop gives participants a chance to monoprint and make marks on paper and cloth using a gelatin plate as well as a large assortment of unconventional tools. 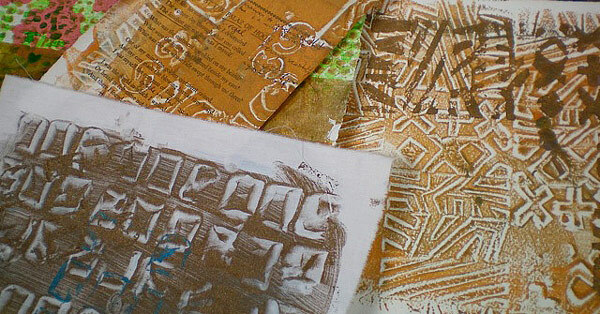 Each student will receive an assortment of papers and cloth to work with, as well as the use of a wide variety of stamps and objects not usually associated with printing. Come play with me! We will build layers on each surface throughout the workshop. At the end of the day you will have a wonderful variety of materials that can be used to create a canvas book, cards, and more. No previous experience required. Wear old clothing and shoes! 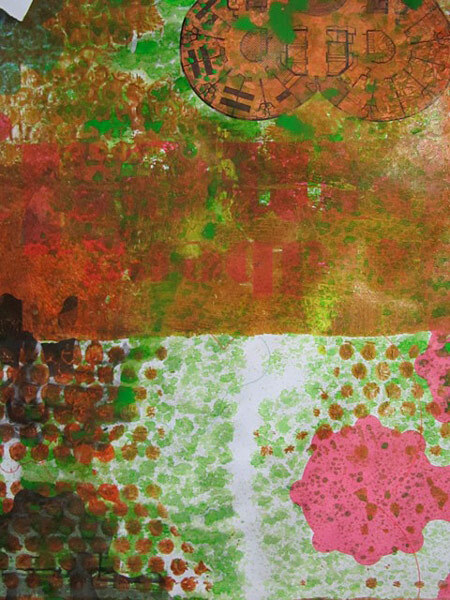 Materials fee covers paint, tools, use of Gelli Plates, paint,& a selection of tools that will be shared by student during the workshop. Students are encouraged to bring a selection of papers, old pieces of cloth.